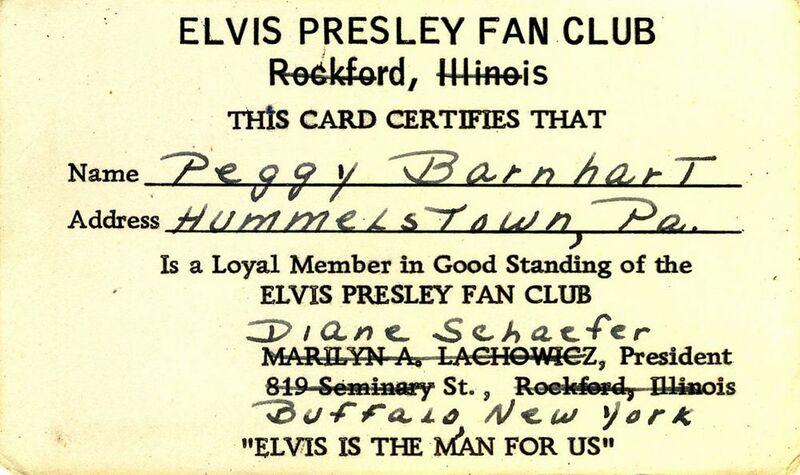 Welcome to Part 1 of the trilogy that focuses on the world of early Rock ‘n Roll Fan Club cards! INDIVIDUAL STARS can be found HERE! THE GROUPS can be found HERE! Fan Clubs have been around for perhaps a century as it is only natural to expect that people of like interests will join together to celebrate and promote a favorite personality or group. Fan clubs have spanned the gamut from huge international organizations (think, the Beatles) to tiny local groups. Clubs have formed to promote film stars, sports stars, sport teams, Western stars, Disney characters, radio and TV stars, Barbie and on and on. Of course one large group of fan clubs involved music stars and groups, including stars popular during the earliest days of rock and roll. Fan clubs were born and died. Many still exist. Some issued membership cards, some didn’t. Some issued multiple cards. Some cards were pretty fancy, others quite simple. Very little has been researched about fan club card collecting. 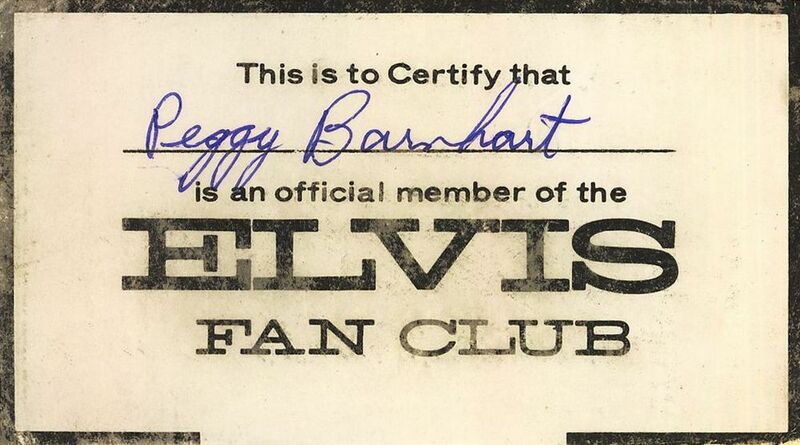 Even less about recording star fan club card collecting and perhaps nothing about recording star fan club card collecting regarding the early stars of rock ‘n roll. So this piece in Echoes might be the very first effort of its kind! Please comment if you are aware of any other research or information about this topic. Obviously, no attempt is made to comprehensively display all fan club cards but rather example scans are displayed to reflect the idea. 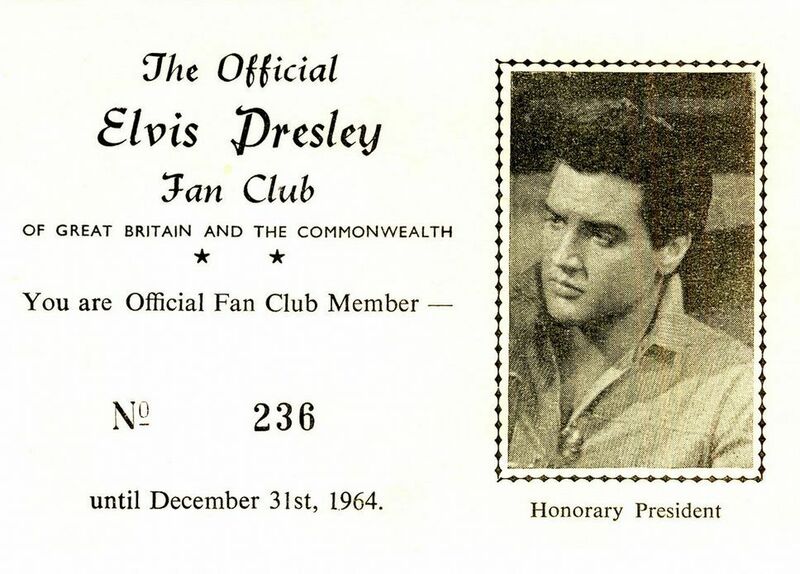 The large, often national, fan clubs tended to be operations designed to inform the fans about the star’s comings and goings, letters to fans signed or more often autosigned by the star, new record and film releases, concert appearances and personal tidbits about his/her life. They distributed material such as pictures, newsletters, pins and membership cards, sometimes for a fee. While the club “officers” of the national groups were usually ardent fans, these clubs were generally backed financially by the star’s record company … the primary motive being to sell records and promote their talent. Sometimes, the card reflects that the star himself was the club “President”. Most cards tended to be similar in size and once filled out could be put in the fan’s wallet. 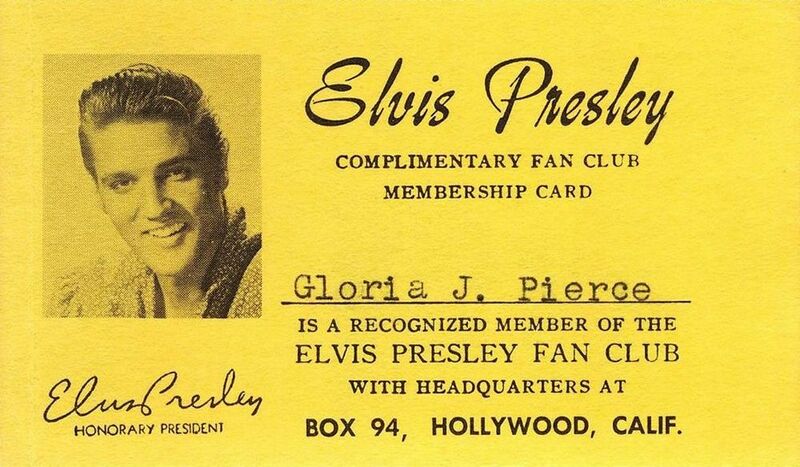 Many had the star’s picture on one side and membership information on the flip side. 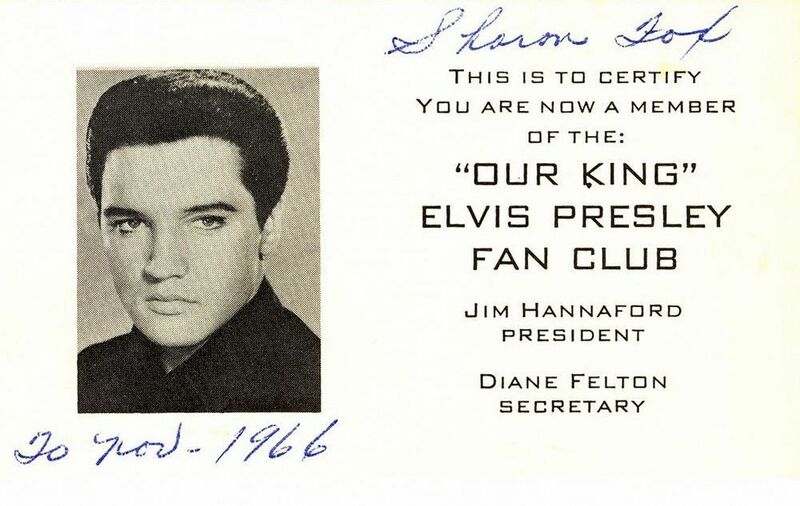 Elvis had far more fan clubs and in turn far more fan club cards issued than any entertainer and perhaps more fan clubs than anyone, ever. The clubs were both National (from many countries, worldwide) and local in nature. The most well known of the US clubs and one of the earliest was the “official” Elvis Presley Enterprises (EPE) club of the mid to late 50’s. 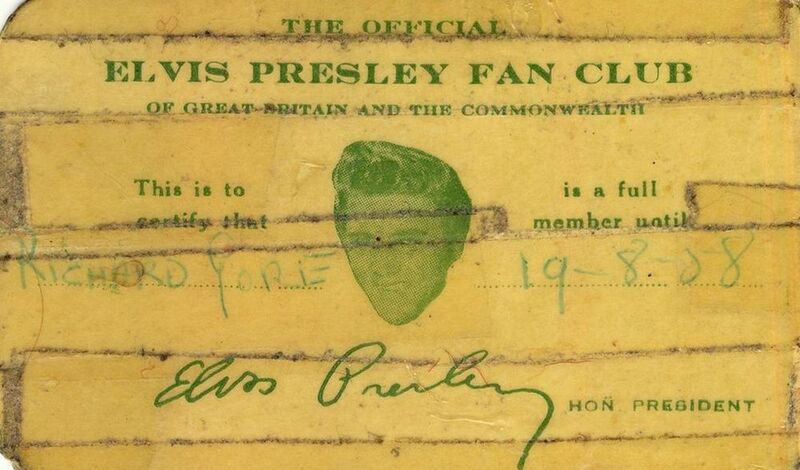 Fans were invited to become members and received a postcard (see top of this article), the upper left corner of which was to be completed, cut out and retained by the club member. 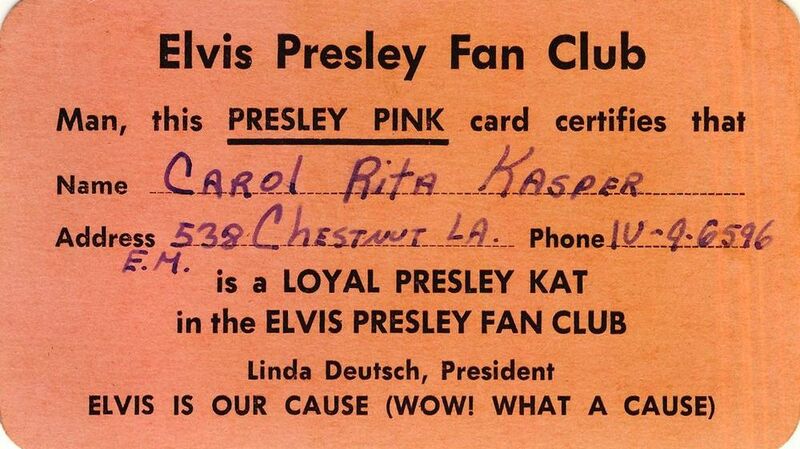 This ID portion of the card was printed in what has become known as “Presley Pink”. In that most cards were immediately cut, uncut original postcards are quite rare. 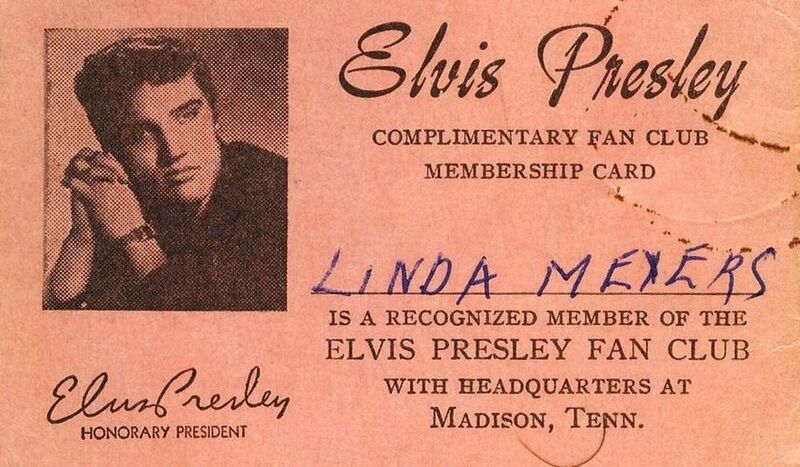 A replica postcard has been issued by The Graceland Archives with its seal imprinted in the lower left hand corner of the card. Several versions of the original card were produced especially as the card copy changed along with changing club officers. 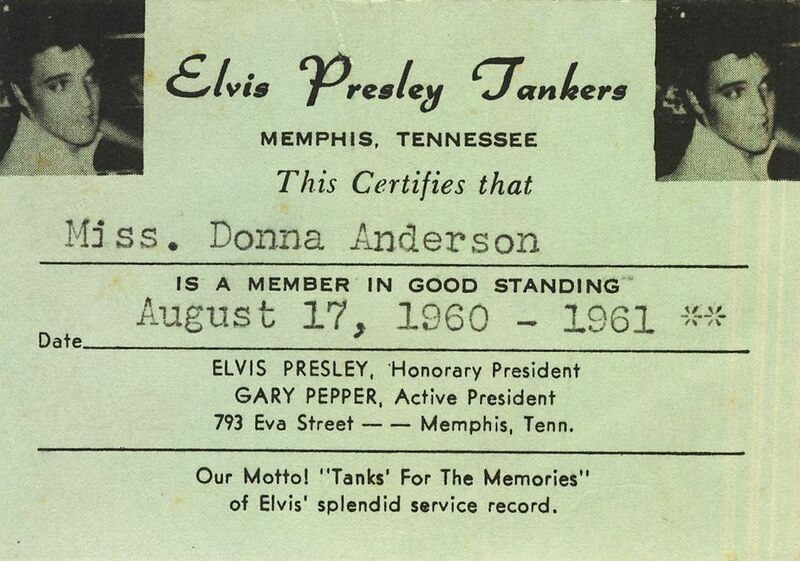 To the left we have the membership card of Gary Pepper’s Tankers Fan Club. For more on the Tankers see HERE! 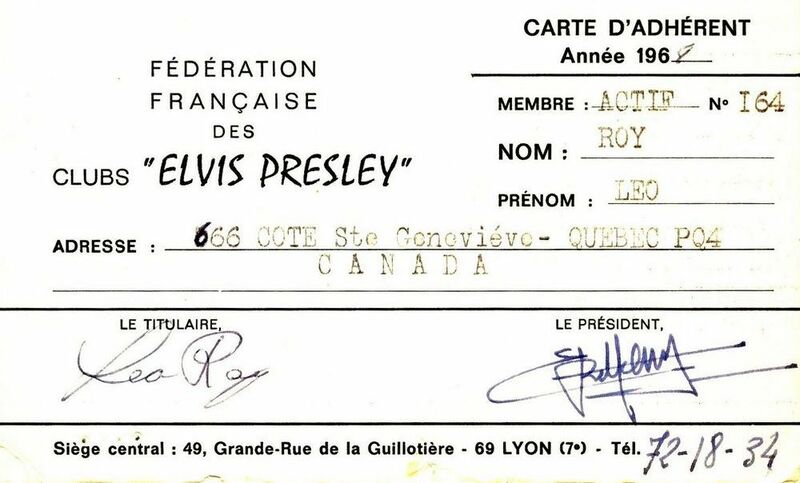 Many countries had their own national and local Elvis fan clubs and many still exist. One suspects that members of local fan clubs physically met to exchange information about the star, listen to music, trade memorabilla and basically swoon for their guy. 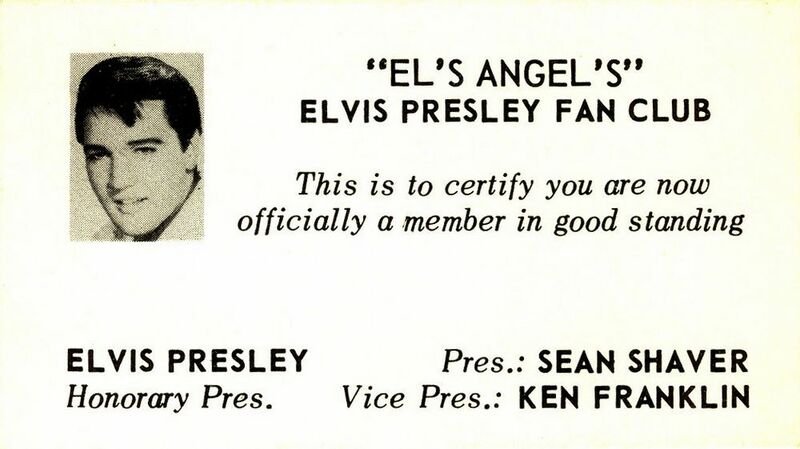 Yes, most of the clubs involved male stars and most of the fans were female, although interestingly, in the case of Elvis, many club officers were men. Names of local fan clubs were often quite creative and reflected the attitude of the fans. I mean, the fans of what other star would create the Burning Love Fan Club? Some of these cards are of more recent vintage as clubs continue to be formed and fade away and new clubs formed. 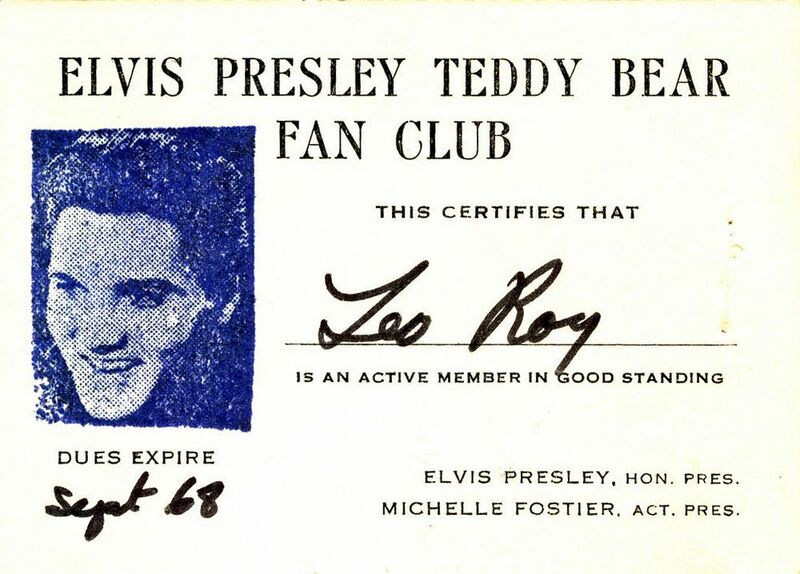 Some Elvis fan club cards today are issued laminated, some with calendars on the flip side, some with 3D holograms and all sorts of other variations. Elvis’ passing in 1977 in no way diminished fan enthusiasm and if anything, Elvis’ popularity has only increased in the years following his death. Fans are still anxious to honor Elvis and want to do it in an organized way with others who feel the same. 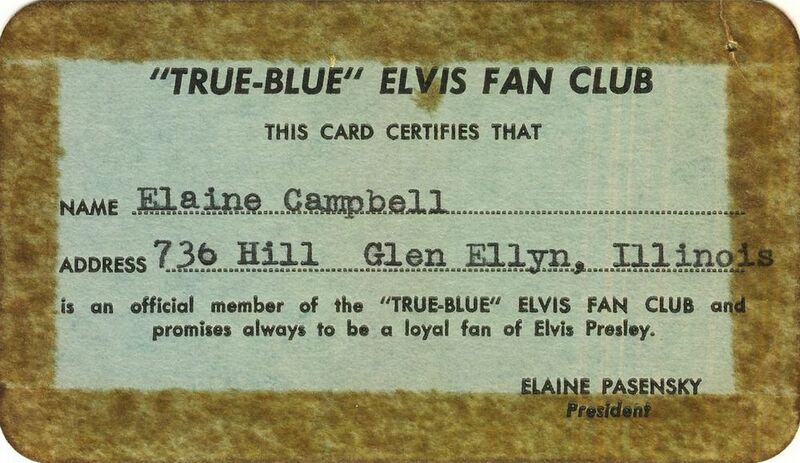 The fan club was the perfect vehicle to accomplish this and having an Elvis fan club card was “carry with me everywhere” proof of Elvis loyalty. 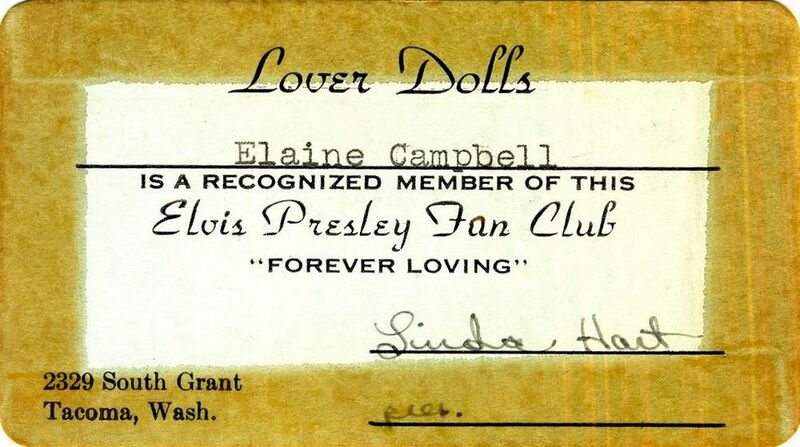 Elvis fan club cards … a very fun collectible! All Fan Club cards presented in this article are from Seth’s personal collection. 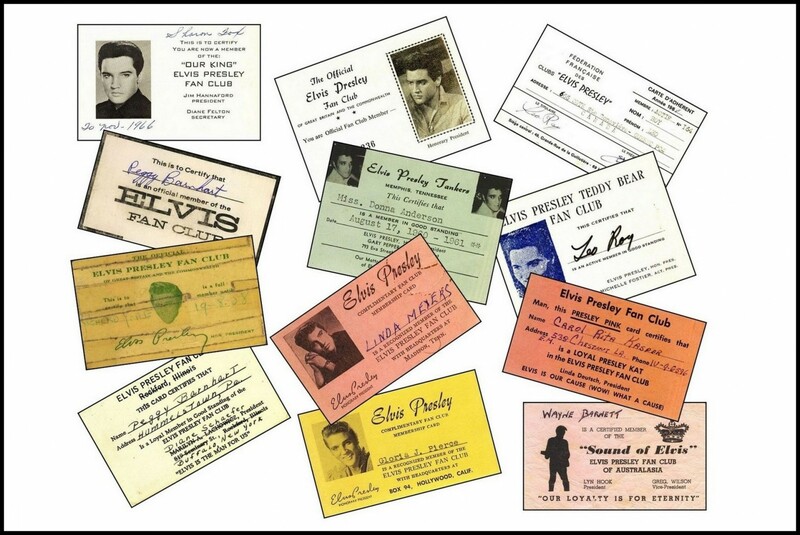 ‘The Story Of The 1956 Elvis Bubblegum Card Set’ can de found HERE! ‘Elvis in Other 1950′s And 60′s Card Sets’ can be found HERE! I never knew this was collectable. But it’s a very nice collection ! Echoes is the first to show these for sure. These are great! Along with the Elvis Presley Game, this is maybe my favorite posting. 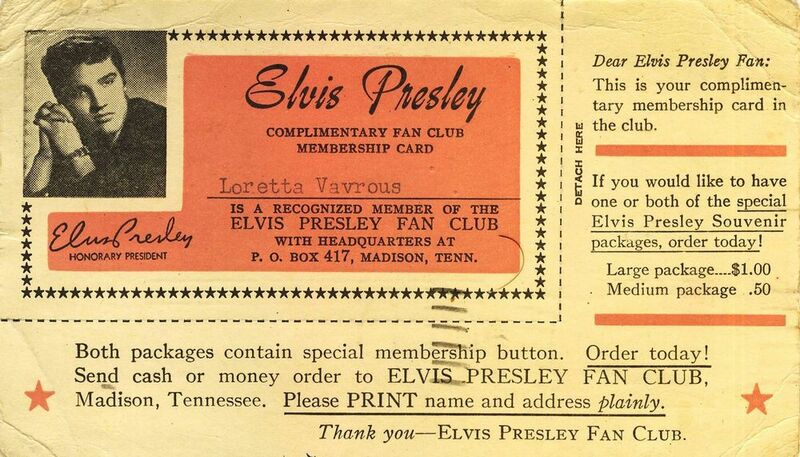 A friend turned me on to this article, knowing I collect fan club cards (all kinds). Was great to see some cards I’ve never seen before … can’t wait for the next two parts! Not something that I collect, but a really great feature, I found it very interesting. I stumbled upon this posting and am very glad I did. The owner of these cards certainly has a unique collection. I prefer the cards that have the owners name hand written on them, as it just seems more personal. The uncut card at the top must have been a rare find. 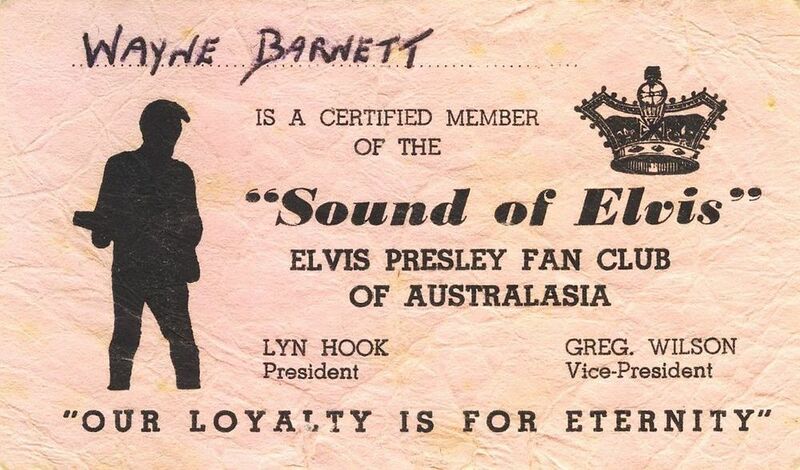 Perhaps owned by a PURIST card collector, or a not so loyal Elvis fan, as it was not carried with them in their wallet! Thanks for posting this article and I will look for the upcoming fan club articles. I have many Fan Club Cards … all in my own name .. I can send scans via e-mail.